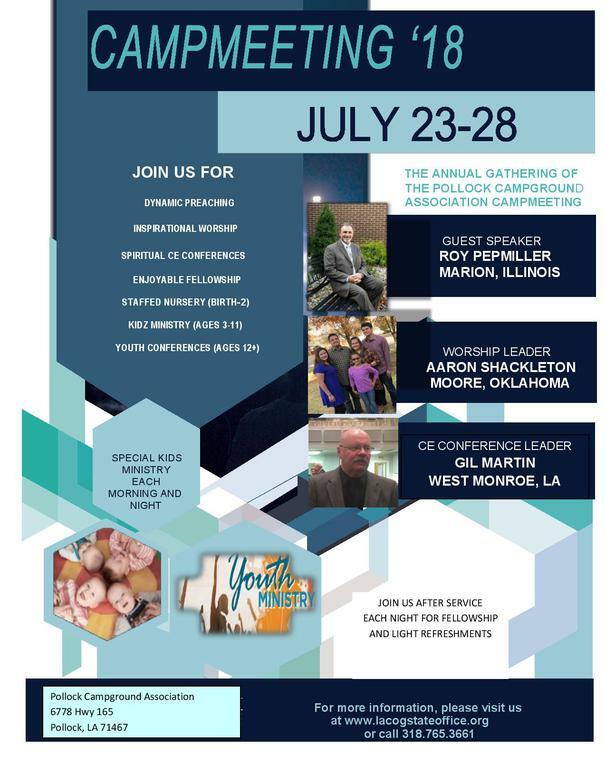 Come join us this summer at Camp Pollock for the 2018 PCA Campmeeting. There is something for everyone! From staffed nursery, am and pm children's classes with Bible study, games and swim time, day camp for junior high kids & swim time, youth conferences/activities and swim time, delicious food, CE Conferences, Worship and Preaching. Call NOW to make your reservations. Contact Dawn at 318.765.3661. There are dormitories for families, cabins, and dormitory type rooms for teenagers (must be 16), and RV sports.